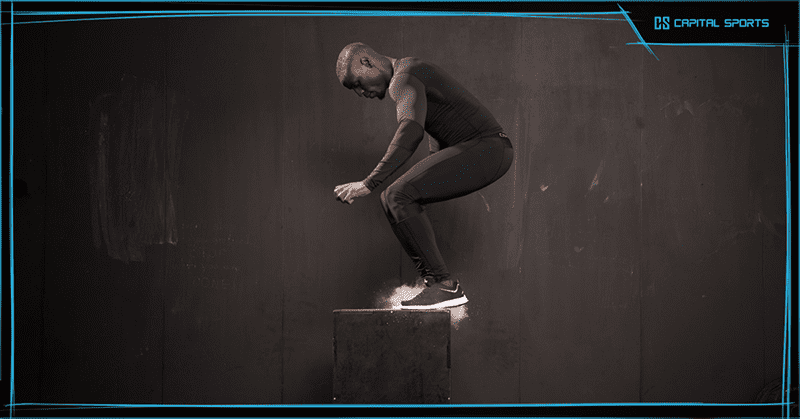 Box Jumps are one of the most basic and punishing Crossfit exercises around, but how much do you know about the different types, and which is the best for you, your Box and your training? Every Crossfitter is familiar with standard wooden jump boxes. Most facilities trust in standard tripartite boxes. Depending on the side you put these onto, they have three different height options that help Crossfitters vary in their training. Some of you are probably familiar with barrel boxes made of wood or metal, and the gymnasts amongst you may already have experience with stackable soft jump boxes. We will take a look at these three different kinds of boxes and point out the differences so you can choose the best for your everyday training. A lot of different kinds of woods can be used for these boxes. We generally recommend the usage of Multiplex Wood, which has a smooth surface and a very high amount of perseverance in long-term utilization. Most of us know the “rattle” noise when carrying or turning a wooden jump box. This noise is caused by a wooden cross inside the box, if it hasn’t been fixed properly. To avoid this issue we have replaced that cross with an extra board. It divides the box into two chambers and gives the whole box a great deal more stability. The best part is that the board is fixed with screws and, therefore, will not make any noise. 99 % of existing wooden boxes are brown. Some Facilities pimp their own boxes with slogans or logos. Those of you who do not want to invest their time into stylizing their boxes should look out for colored boxes such as the Shineater black. Each Plyo — short for Plyometric — box is formed like a cylinder and therefore only has one height per box. The biggest advantage of these boxes is that their stability is much better in comparison to square boxes. Furthermore, they use up less space when stored as they are nestable. We recommend these kind of boxes to those who are in need of more flexibility in height during and for their training / workouts. Especially, to those who are working on their jump height specifically. By the way: Plyometric boxes are often used by weightlifters to work on their explosive strength. 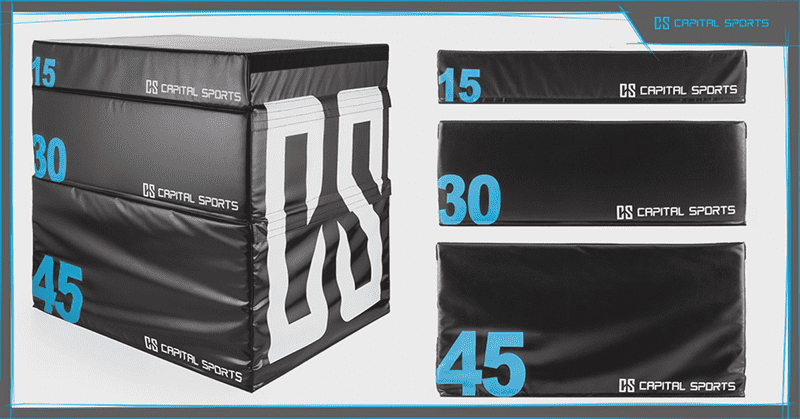 Soft jump boxes are very rare in CrossFit boxes — mainly because they are in a higher price range. Soft boxes cost two to three times as much as a wooden box but offer great benefits. Especially, for beginners and athletes aiming for maximum jump heights. We all have hurt ourselves during jump boxes at least once, cutting our shines open. With soft jump boxes this can’t happen — no matter how high you stack them, they will not hurt you. (Well, except, if you count falling on your face but we do not calculate this to be happening.) Soft jump boxes usually are offered in three different sizes, starting from 15 cm going to 30 cm and ending with 45 cm. Of course, you can also by them altogether in a set. 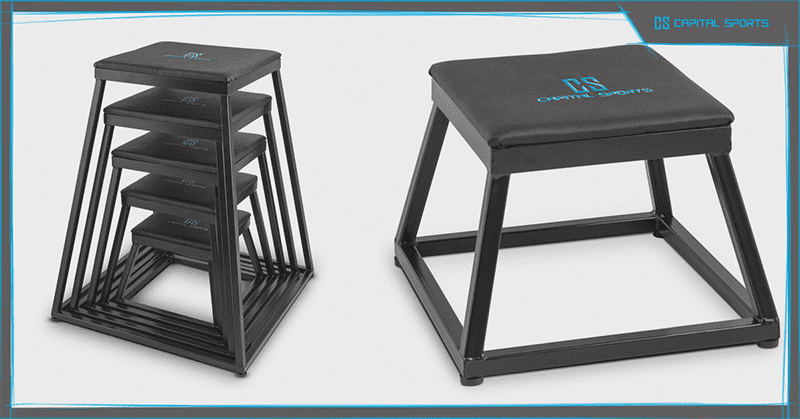 These boxes are a safe way to start working on your box jumps or to improve them step by step. 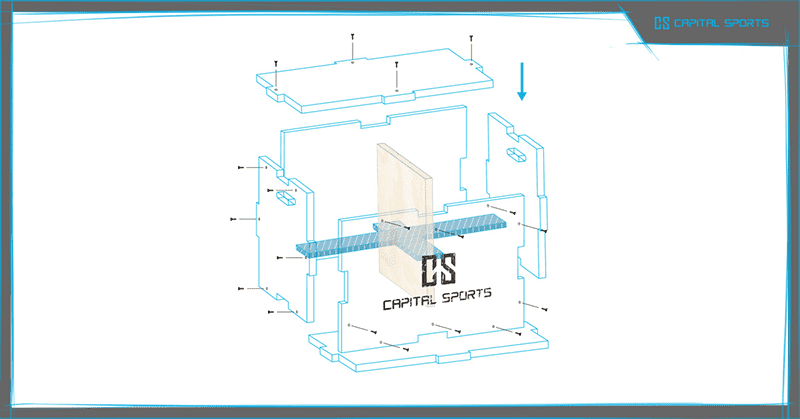 Plus, those CAPITAL SPORTS soft jump boxes will be quite the eye catcher in every box.